You are beautiful and powerful. 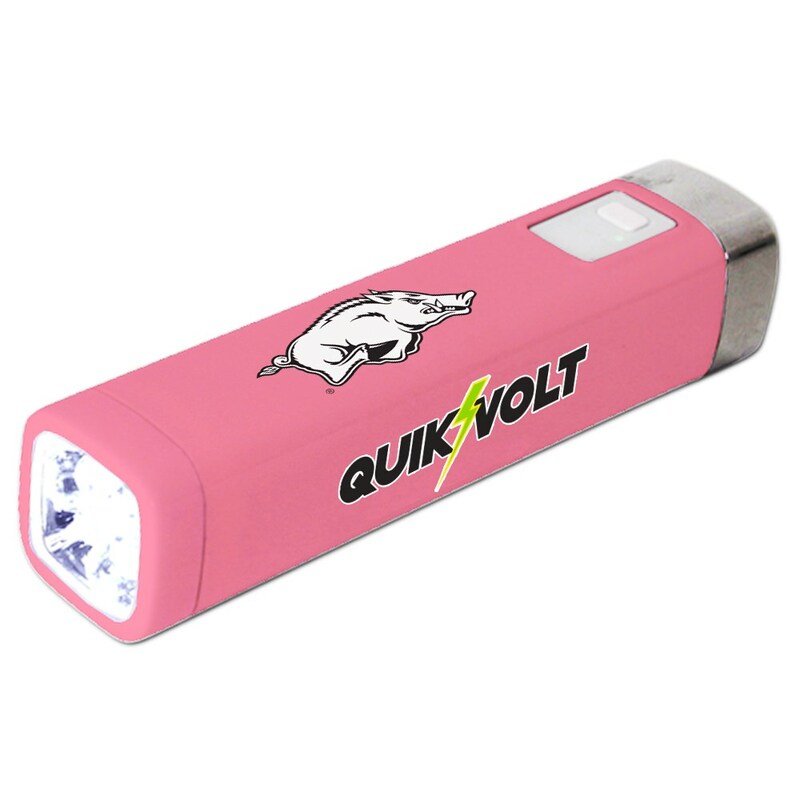 So is the Arkansas Razorbacks pink 2200LS USB Mobile Charger from QuikVolt! This portable USB power bank is coated in a brilliant pink color that’s positively electric to behold. 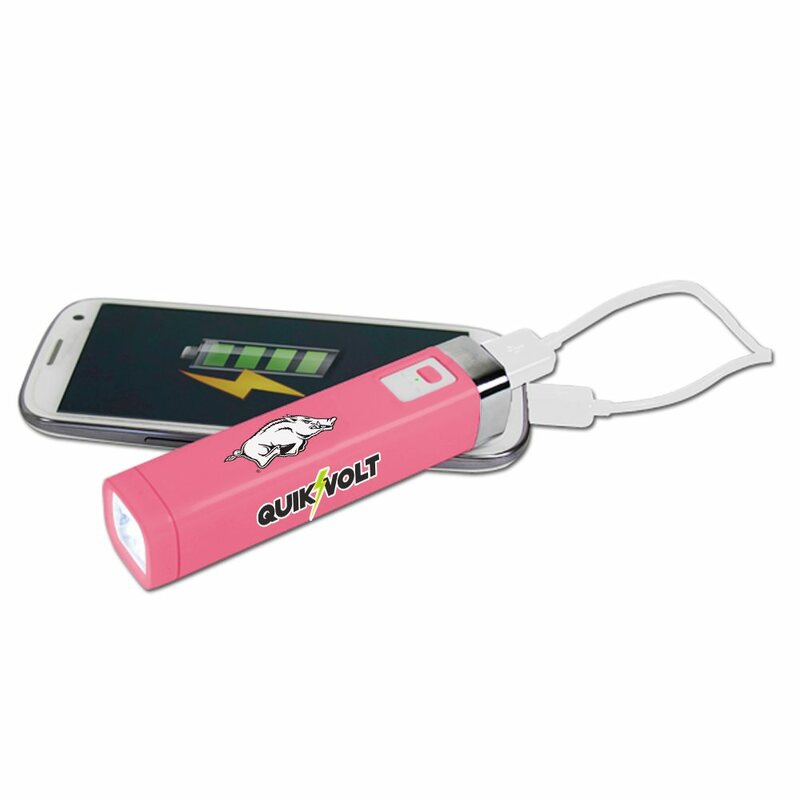 The gorgeous pink charger comes with a rechargeable 2200mAH battery and a built-in LED flashlight. 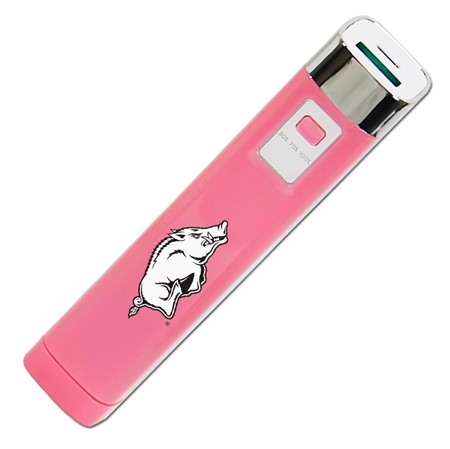 The Arkansas Razorbacks 2200LS pink USB Mobile Charger also comes with a cloth drawstring storage bag, so you can keep it safe and carry it around with ease. 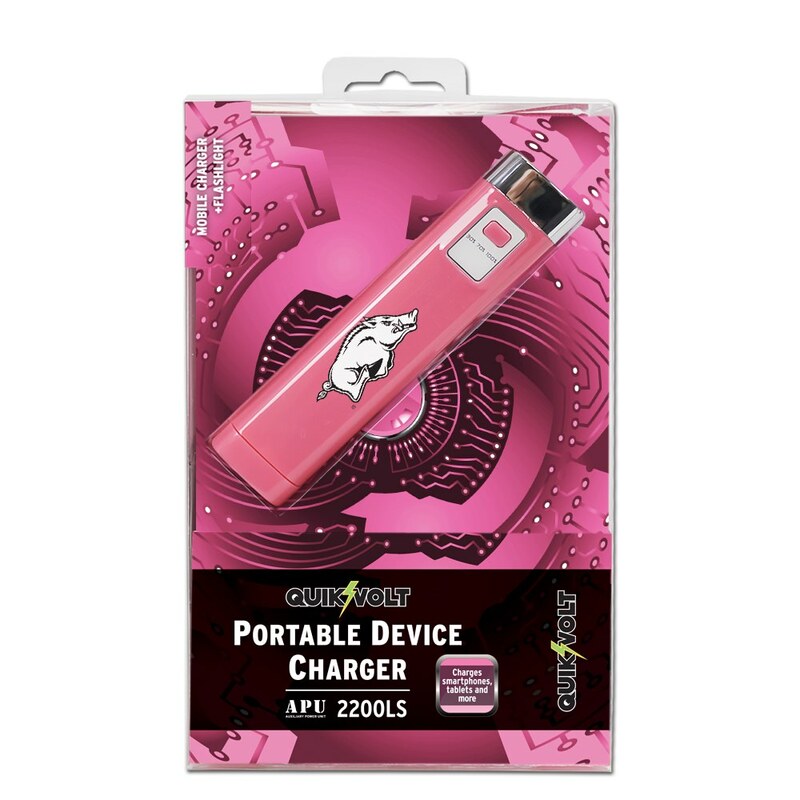 With this pink beauty by your side, you’ll never have to worry about your mobile devices powering down: They’ll be as full of energy as you are.